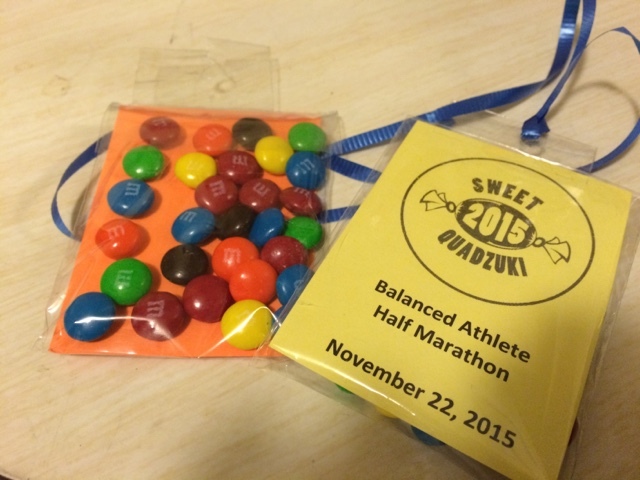 On Sunday we ran the Balanced Athlete Half Marathon -- day 2 of the "Sweet Quadzuki" series. 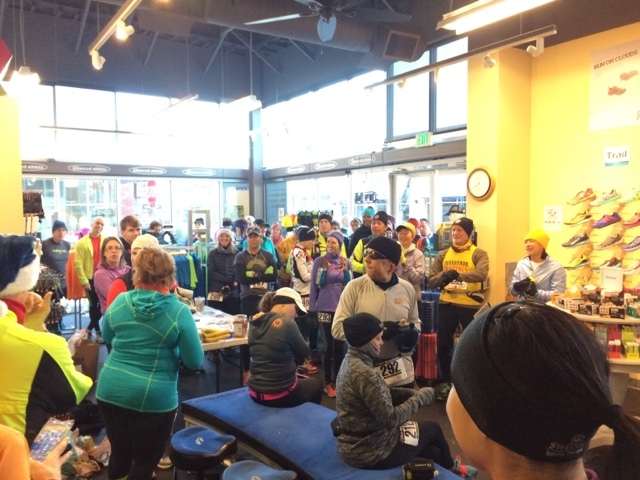 This race was sponsored by Balanced Athlete (natch), and started from in front of their store in the Landing in Renton. It also meant we had a nice wam place to wait before the race! (Though it was much, much warmer than on Saturday...) Unsurprisingly, we saw a lot of the same faces! We had a brief course talk -- but at the end of the day, it was basically "follow the bike route to the turnaround". One odd thing -- we were told we needed to stay together at the big intersection and wait for the light. "We don't need another dead body." Okay. But when we set off as a group, and approached the intersection, he led us across ... without waiting for the light. Mmmmkay. We had bundled up again -- heck, I was wearing an extra layer -- but it really did warm up relatively quickly, and within a few miles I had taken off my jacket and Wil was down to a singlet. It was a gorgeous morning... and the leaves were turning and falling. And the field was so small that we were on our own pretty quickly. 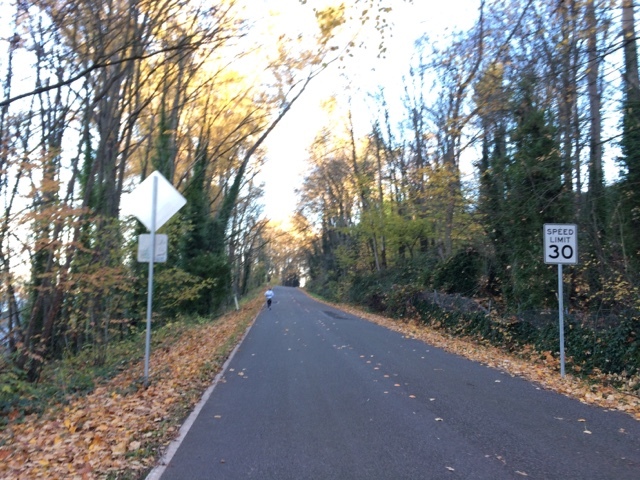 The course was similar to part of the Seahawks 12K course: the rolling hills to the VMAC, then beyond to I-90 and a bit. 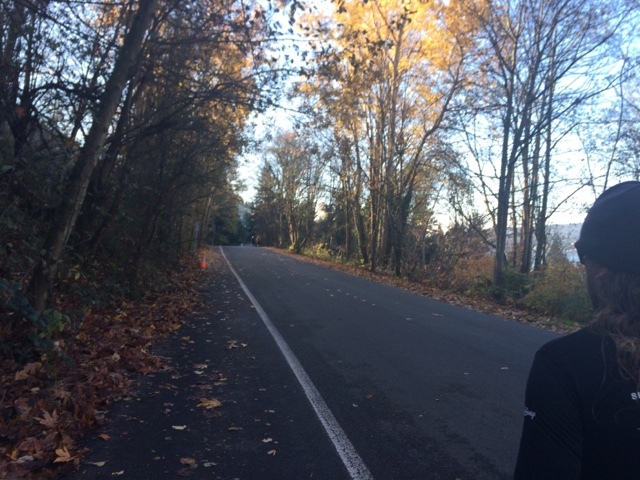 We ran and ran and ran, finally spotting the front runners at about mile 5.5, and then more runners just after mile 6. And then, oh happy day... we arrived at the turnaround. We had decided to take things easy again, and walk back from the midway point. So we had more time for some lovely photos. 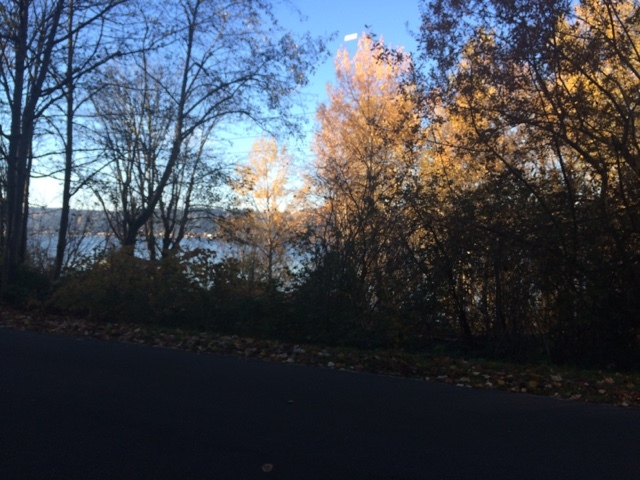 Did I mention that it was quiet and beautiful? 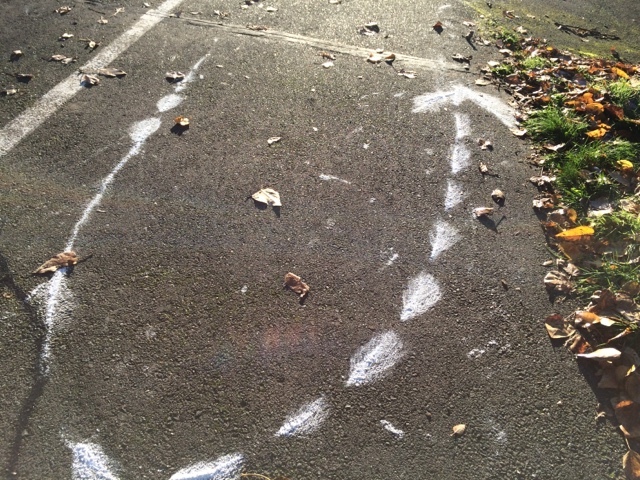 Eventually we made our way back to The Landing, crossing with the light, and holding hands at the finish. 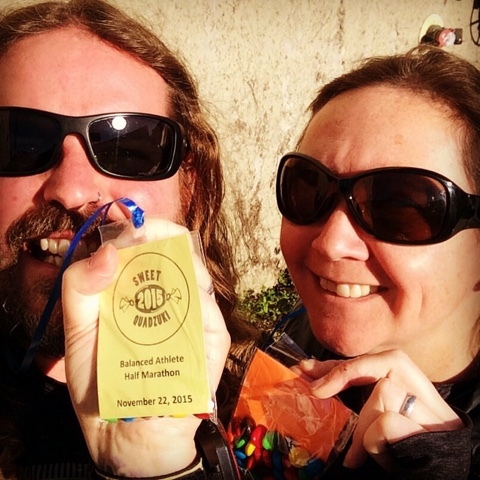 A small group cheered us in, we picked up our cute little "medals", and then we went in the store for PIE. It was fun to run another small race, cheer for our fellow runners, and REACH A NEW MOON LEVEL IN HALF FANATICS. Boo-yah!